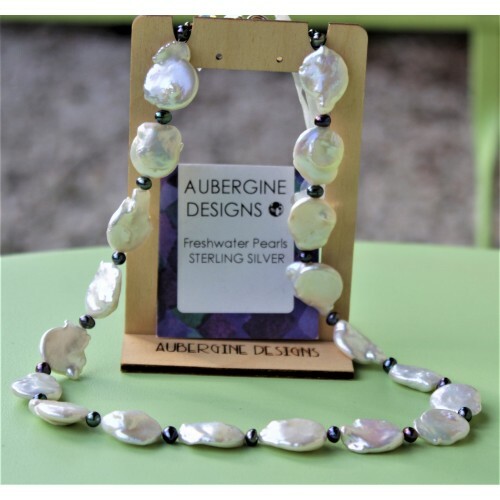 A luxurious necklace comprising very large coin pearl interspersed with hematite spacers. This necklace will be sent in a smart organza bag with an Aubergine Designs insert. Lovely classic pearl studs. 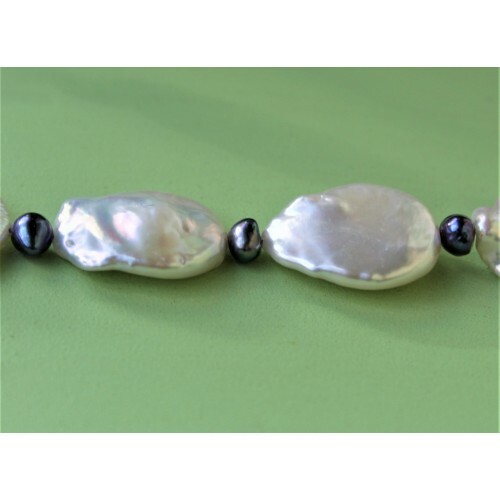 The pearls have a lovely lustre and have Sterling Silver fittings. .. I may be able to make some similar - please email on sales@aubergine-designs.co.uk if you are intere.. 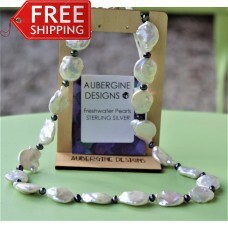 Tags: large, coin, pearl, and, hematite, necklace, sterling, silver, new, items, stock!